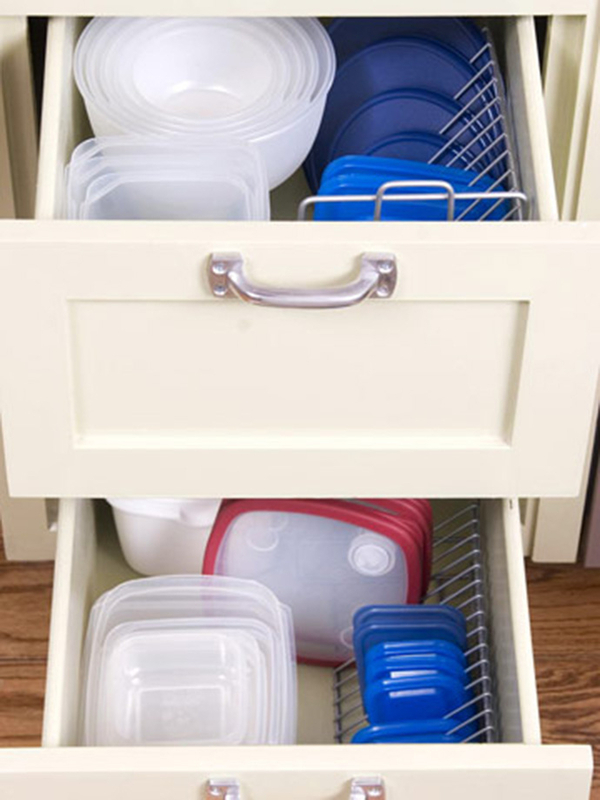 Helping you keep things in order and save space. You’re welcome. 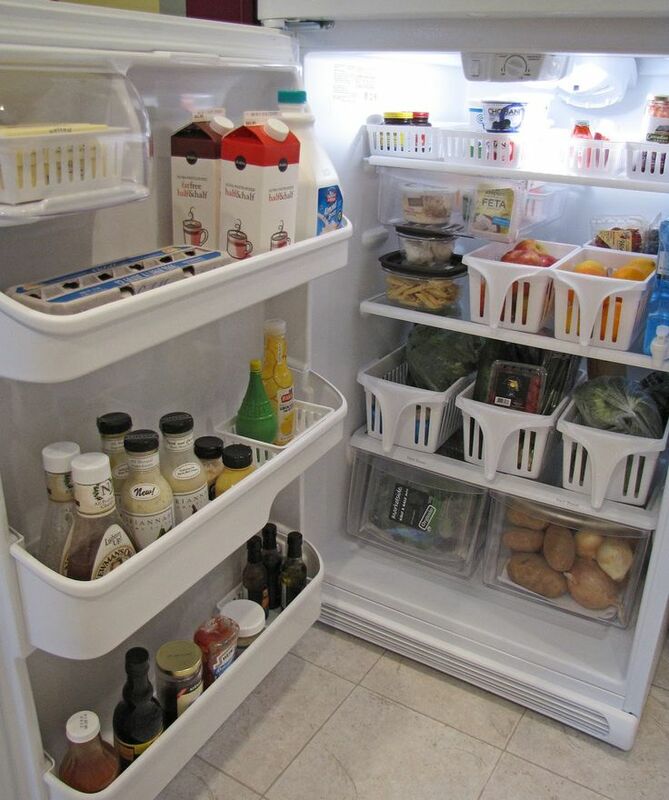 Compartmentalize your fridge with trays and baskets. 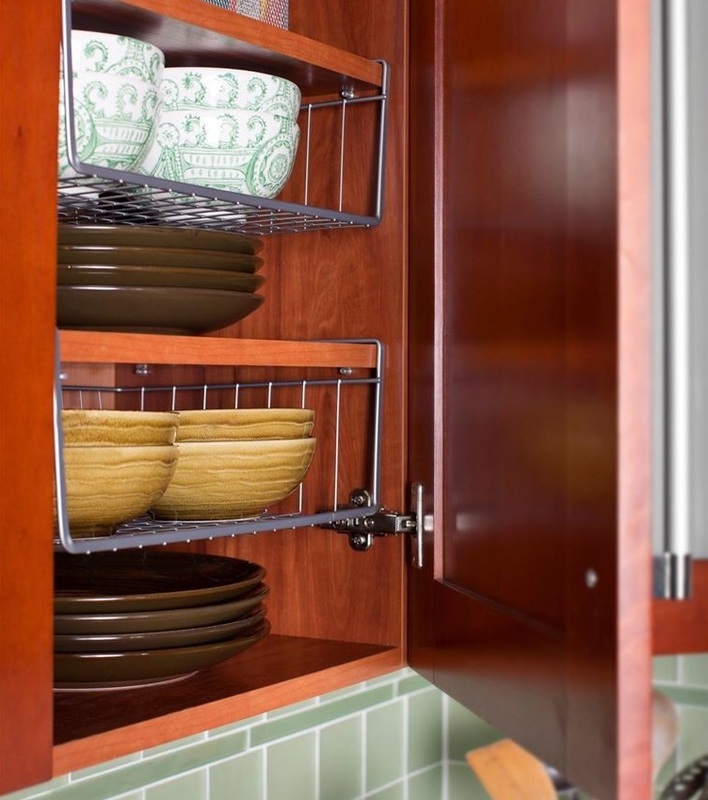 Maximize vertical space with under-shelving. 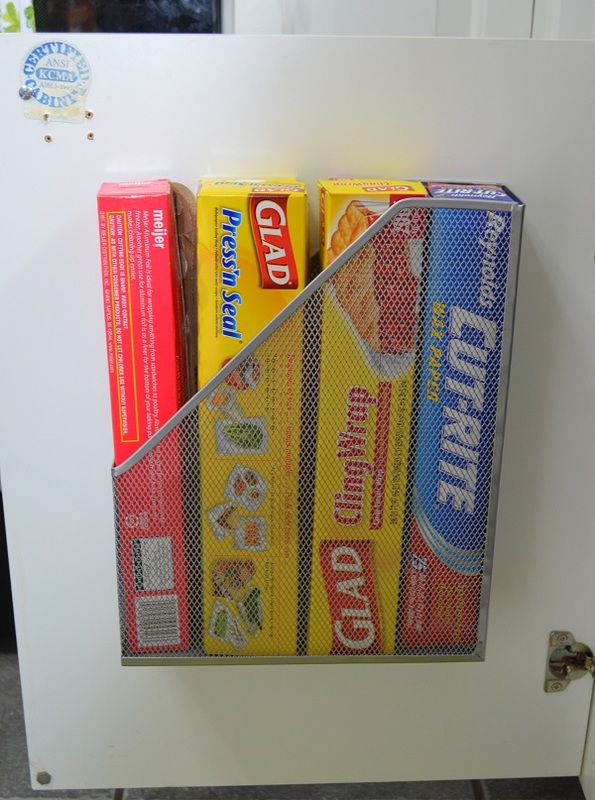 Convert a magazine rack into storage for tin foil and plastic wrap boxes. 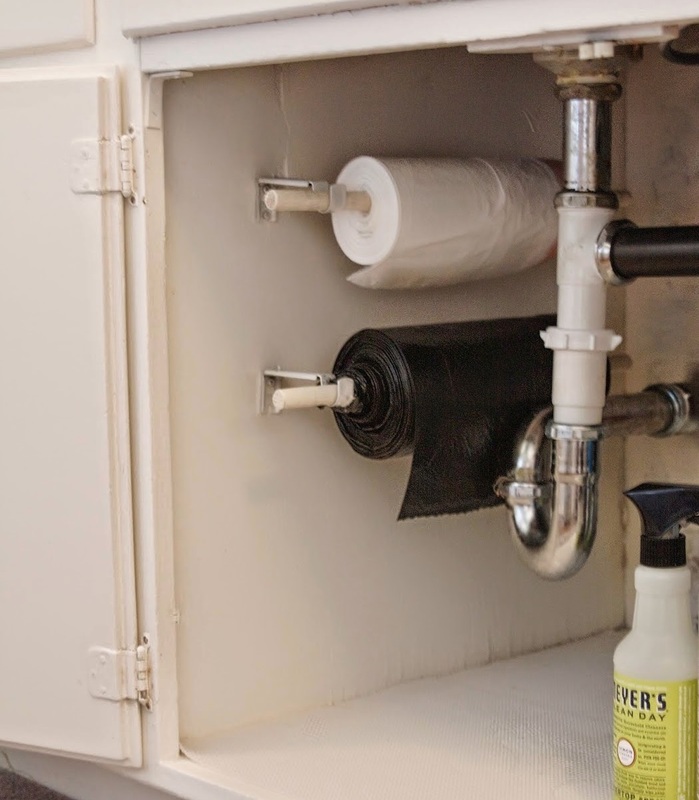 Store plastic bags in a disinfecting wipe container or tissue box. 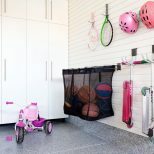 A shower caddie can be re-purposed as a producer caddie. 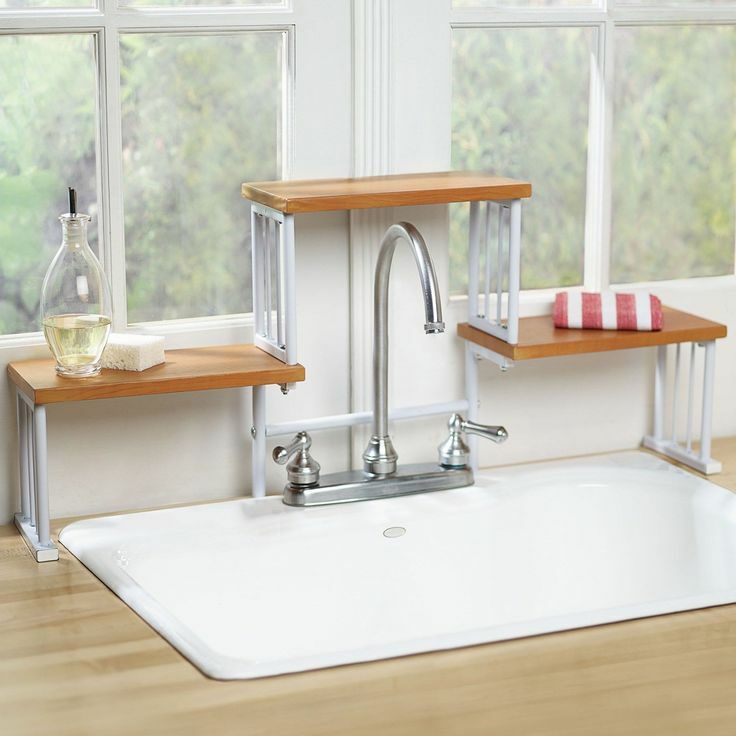 Create extra counter space with an over-the-sink shelf. 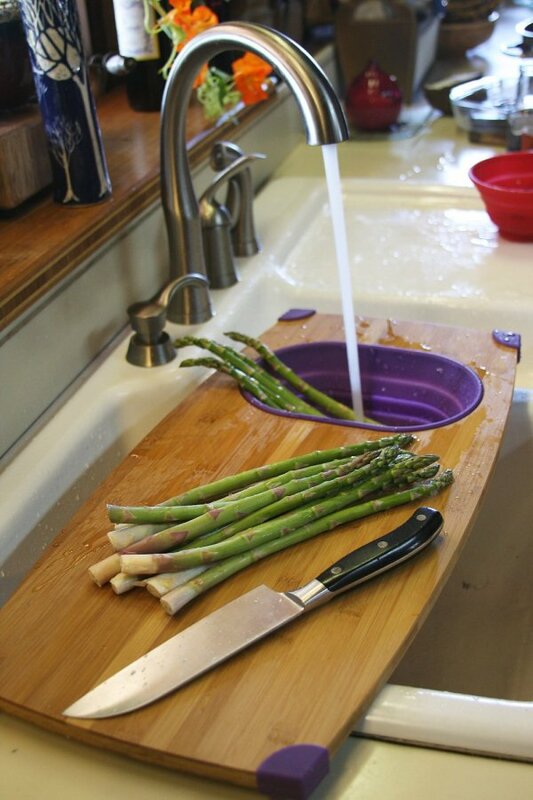 And an over-the-sink cutting board. 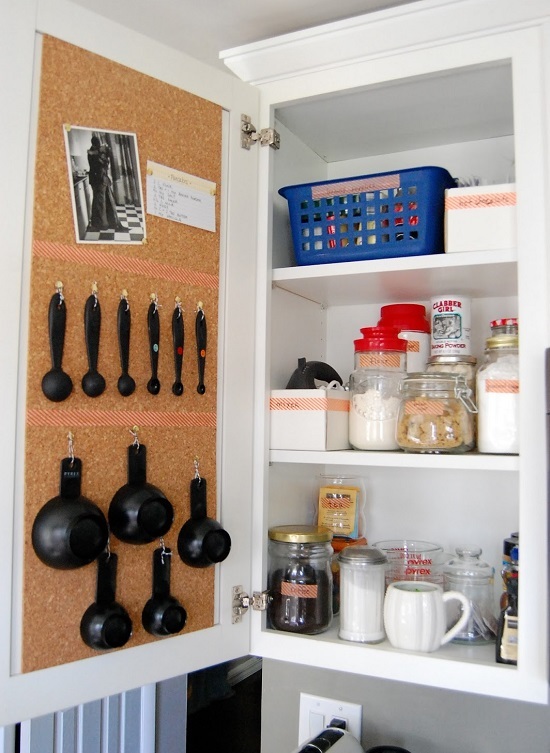 Install cork boards on the inside of your cabinet doors to hang large utensils. 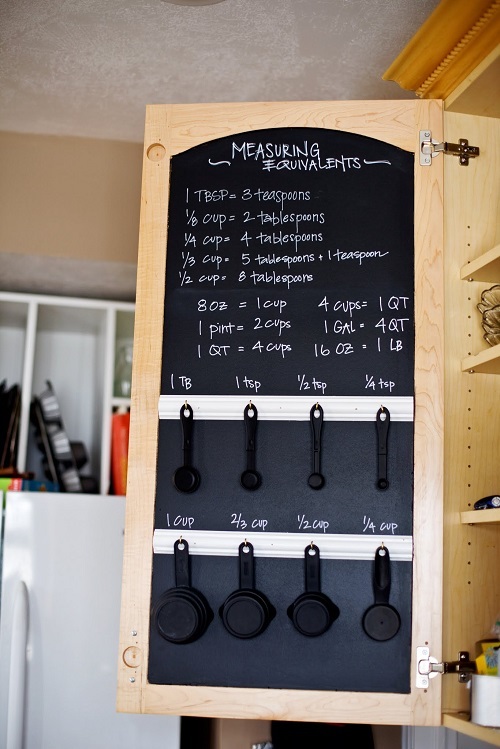 Build a baking measurement station with hooks and chalkboard contact paper. 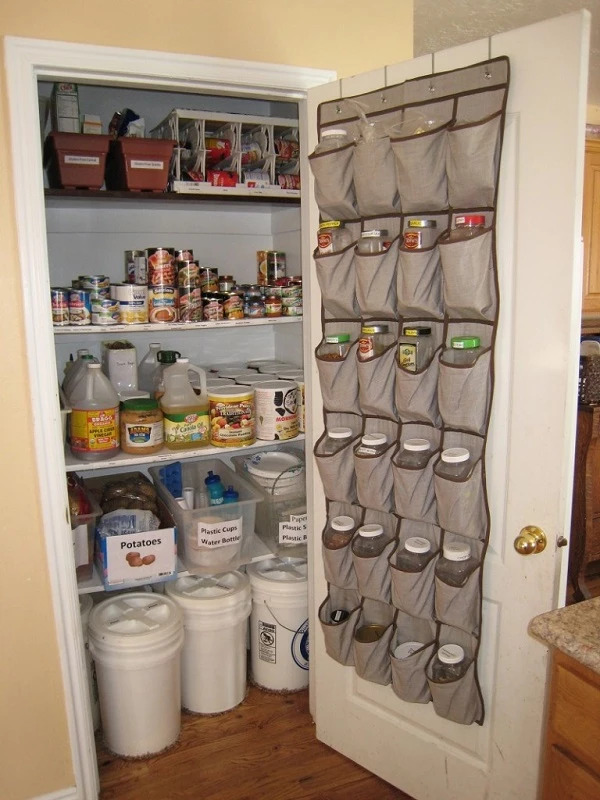 Use shoe organizers to double your pantry space. 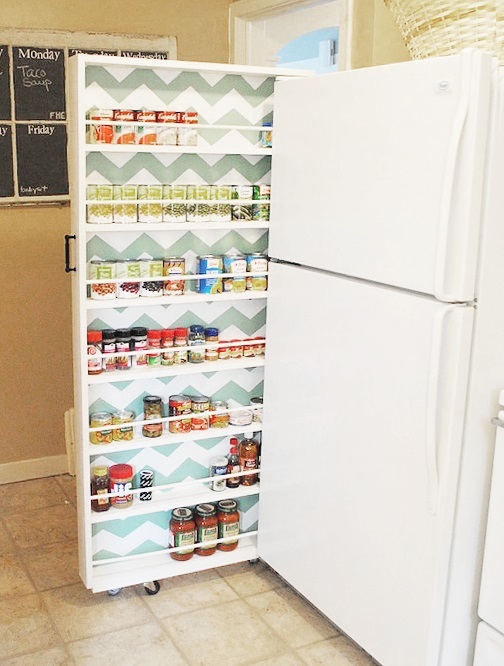 Or go big and build yourself a slide-out pantry. 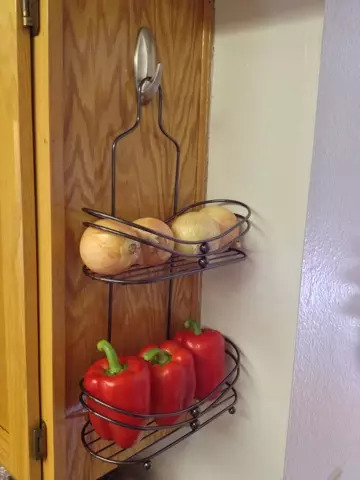 Tension rods make great cupboard dividers. And old CD racks will keep your drawers in order. 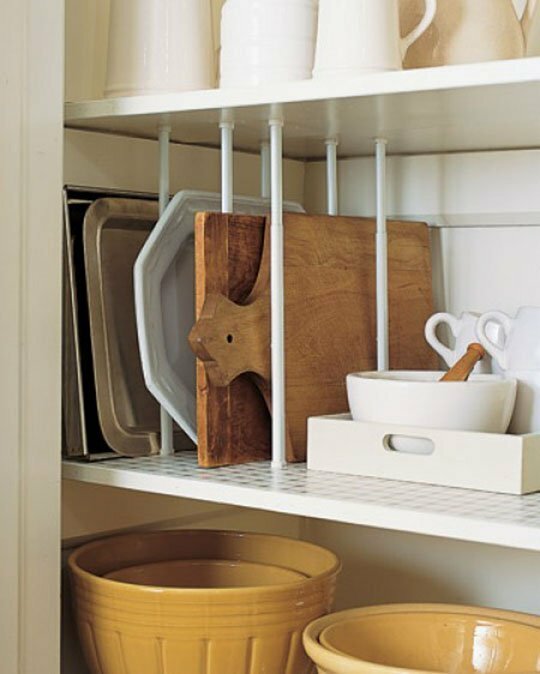 Keep your cleaning supplies organized under the sink by hanging them from a rod. 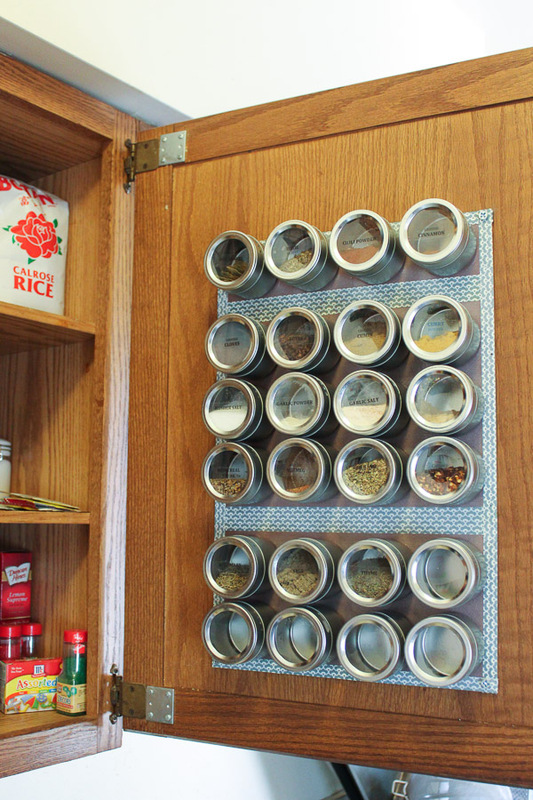 Spice tins + magnetic strips = magnetic spice rack. 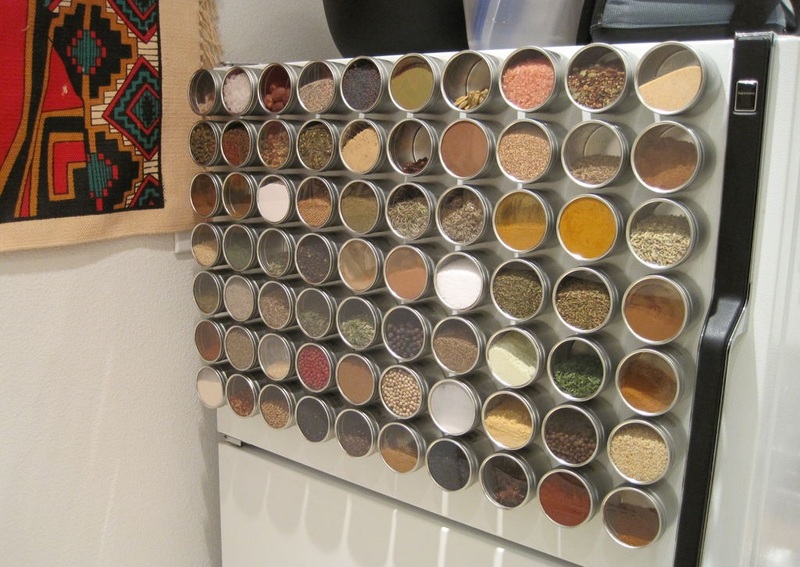 Or simply fasten magnets to your spices and slap them on the fridge. 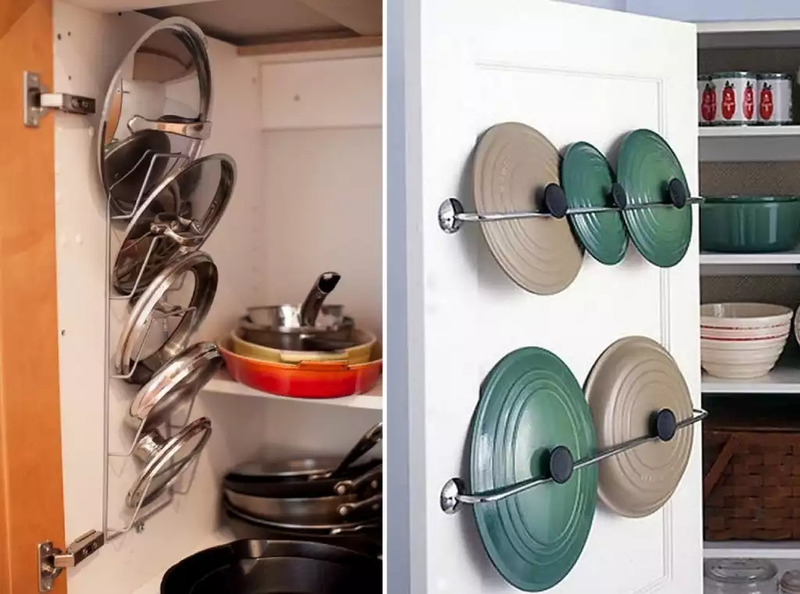 With magnets, you can create all sorts of fridge storage. 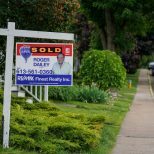 Put those garbage bags on a roll. 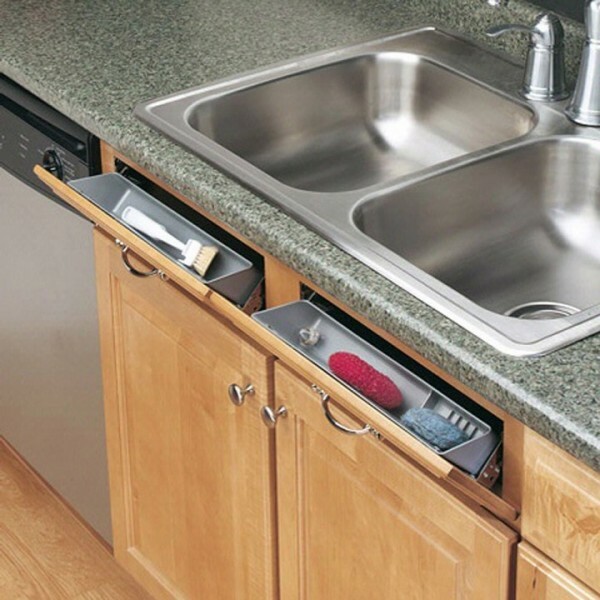 Utilize the false front drawers under your sink. 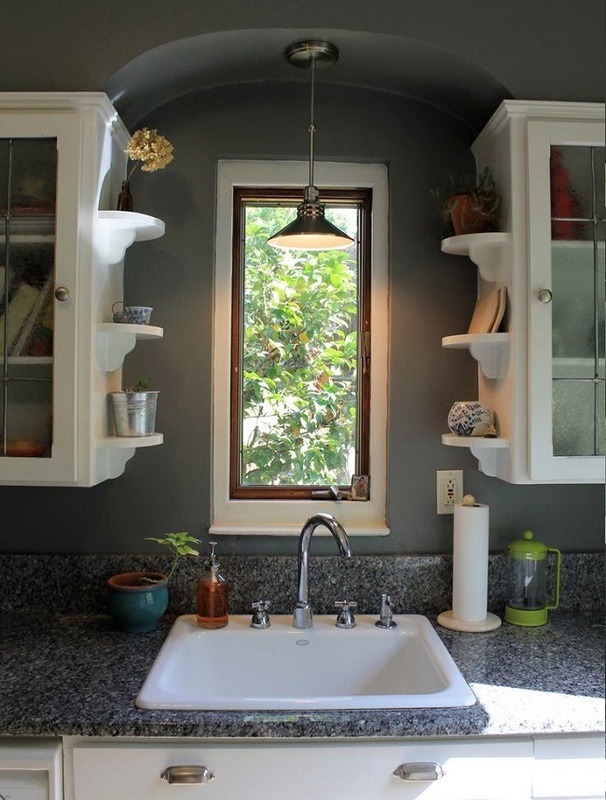 The sides of cabinets are prime real estate for additional shelving. 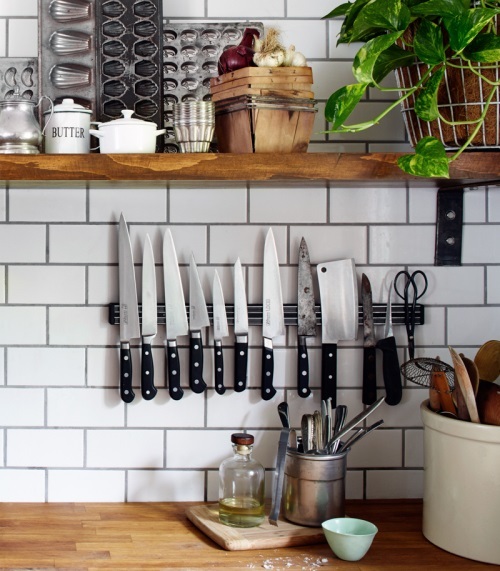 Your bulky knife block is taking up valuable counter space, use a magnet. 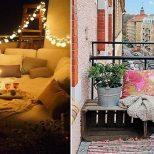 And buy yourself an appliance lift to free up even more counter space and save yourself from manual labor. 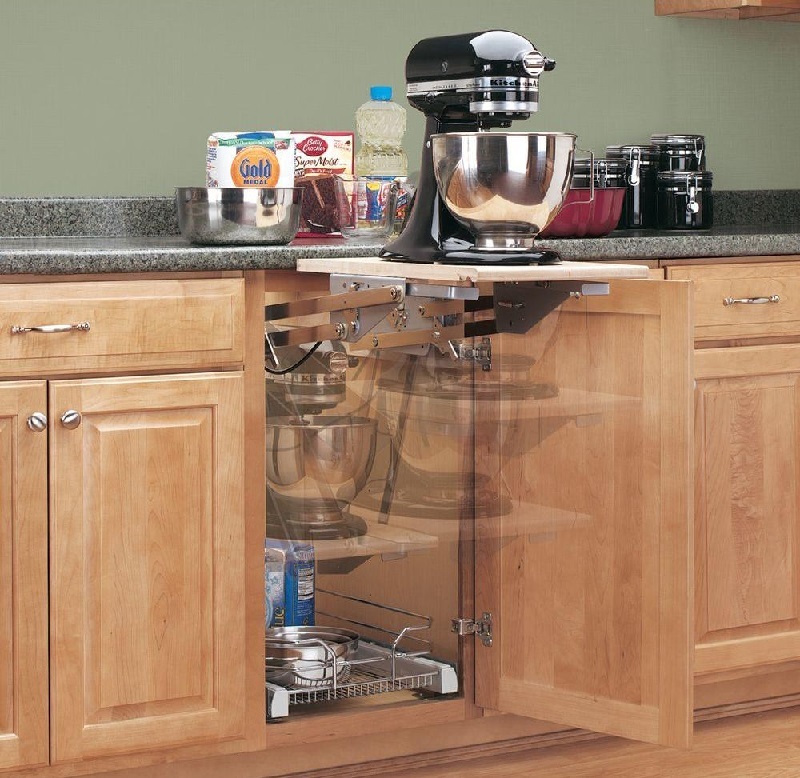 Not enough cupboard space? 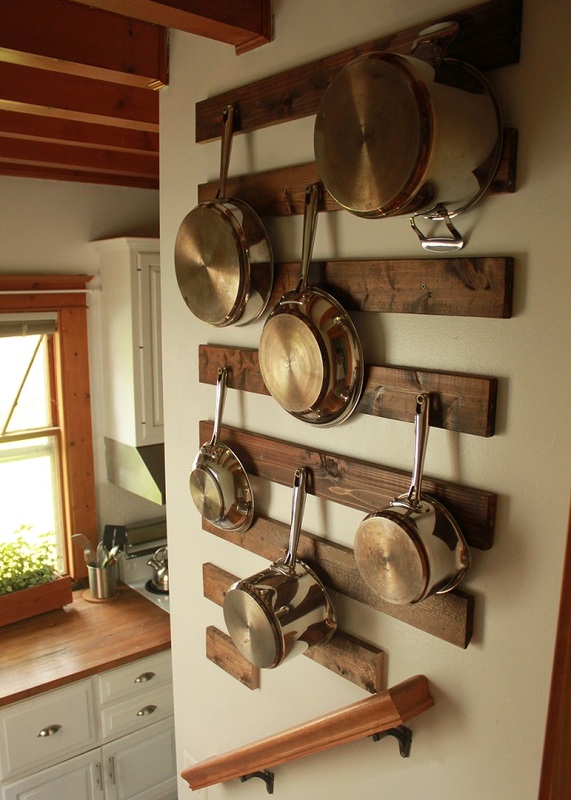 Hang pots and pans. 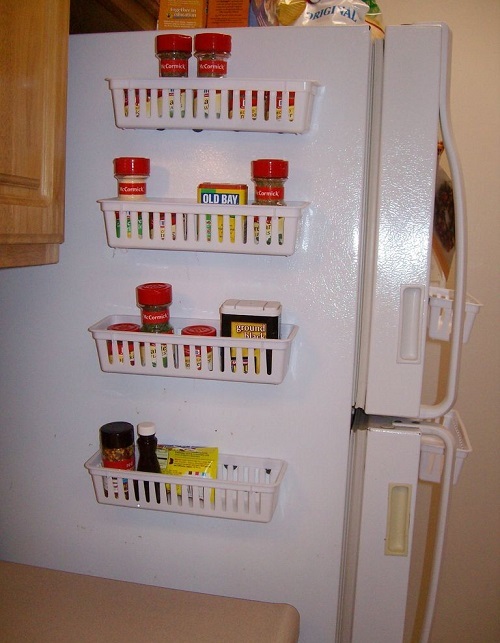 And use towel rods to keep your lids in order.